This post was originally published on September 8, 2016. 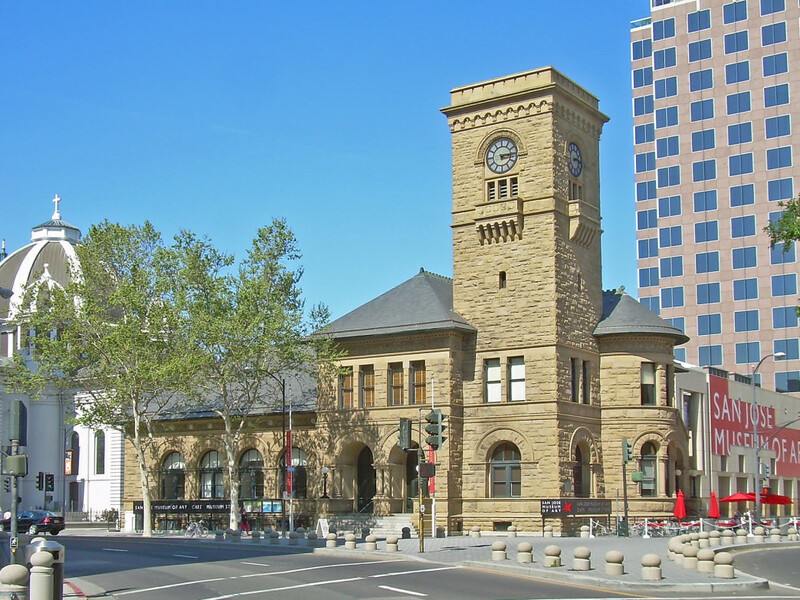 Northern California’s 170-mile Capitol Corridor train route links the state’s original capital, San Jose, with its modern-day counterpart, Sacramento. But that’s not its only historical connection. Each of the Capitol Corridor’s 17 stops showcases some of California’s rich history—from the Spanish Missions to the Gold Rush to Prohibition—and five cities in particular are worth a stop. Check out these historic towns in a whirlwind weekend, or, for thorough historians, stretch out your tour over a series of excursions—either way, the Capitol Corridor is your ticket to time travel. The San Jose Downtown Historic District is home to many museums, parks, and cultural sites. Photo by David Sawyer. 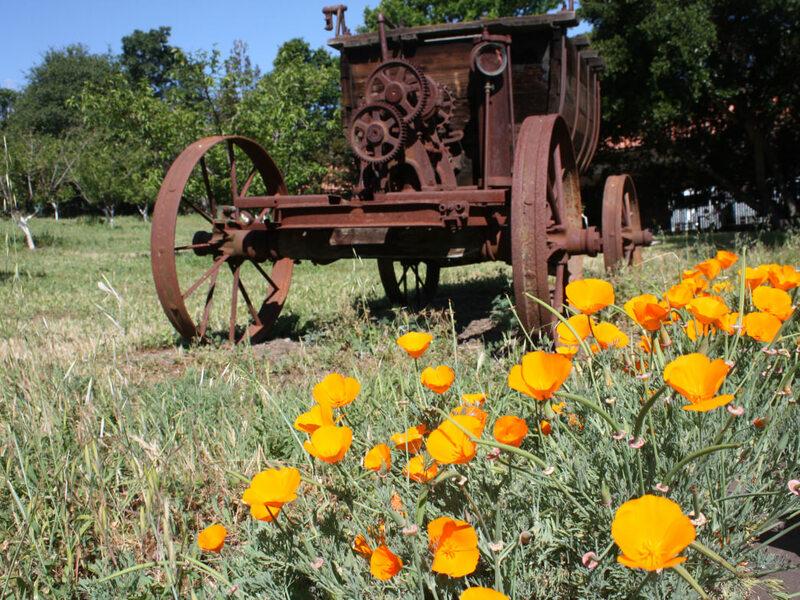 A historical tour of northern California is best begun in San Jose, the state’s first capital. Today, San Jose is the largest city in the Bay Area and, conveniently, is the southernmost stop on the Capitol Corridor route. In 1775, New-Spanish explorer Juan Bautista de Anza led the first overland expedition to modern-day San Jose, bringing colonists to establish two missions, a military post, and California’s first pueblo. Twenty-two years later, the pueblo moved to what’s now the intersection of Taylor St. and Guadalupe Parkway, where contemporary visitors can explore the Guadalupe River Park and Historic Orchard. The original capitol is commemorated at Plaza de César Chávez, just steps away from the city’s art and tech museums. From here, visitors can tour the well-marked Paseo de San Antonio Walk through the San Jose Downtown Historic District, where you’ll find cultural sites, restaurants, and original late-19th century architecture. John Muir made his home in Martinez for nearly 25 years, and today, his home is a national historic site. Photo by Ray Bouknight. 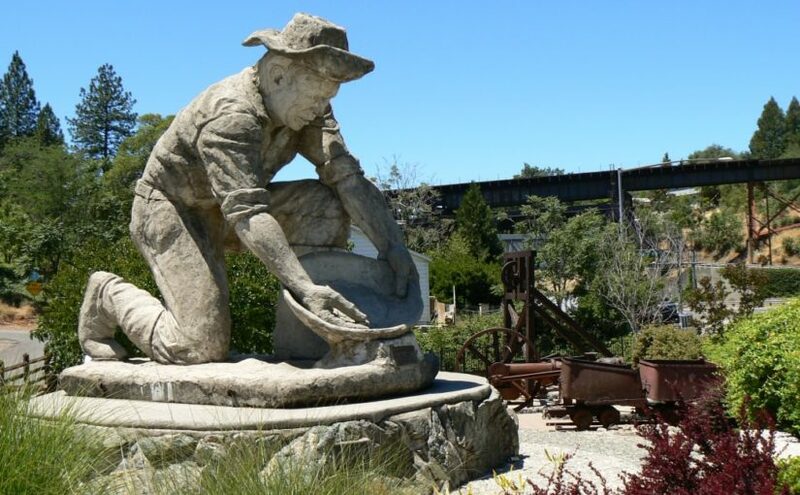 The population of Martinez proper is relatively small in comparison to its neighbors, but there’s no shortage of history in this town situated on the Carquinez Strait. Martinez was a major way station during the California Gold Rush, which began when gold was discovered at Sutter’s Mill in 1848. The following year, locals, and later, some 300,000 other “Forty-Niners,” flocked to California, prompting the construction of dozens of buildings that remain intact today. Just blocks from the Martinez Station, the Martinez Historical Society curates a walking tour of the town, along which visitors can check out the Martinez Post Office, a federally designated historical marker, and the Southern Pacific Depot and Bridge. Martinez—also a one-time stop on the Pony Express Route—was where John Muir made his home for the last quarter-century of his life. His house has been preserved as the John Muir National Historic Site, where visitors can honor the beloved naturalist and conservationist by picnicking on the grounds, taking a seasonal tour led by a national park ranger, or hiking at nearby Mount Wanda. When you’ve finished your tour, be sure to enjoy a martini at any watering hole in town; local legend has it that the cocktail—originally called the “Martinez Special” by a Gold Rush-era bartender—was invented here. It may be the modern-day capital, but Sacramento hasn’t forgotten its roots. 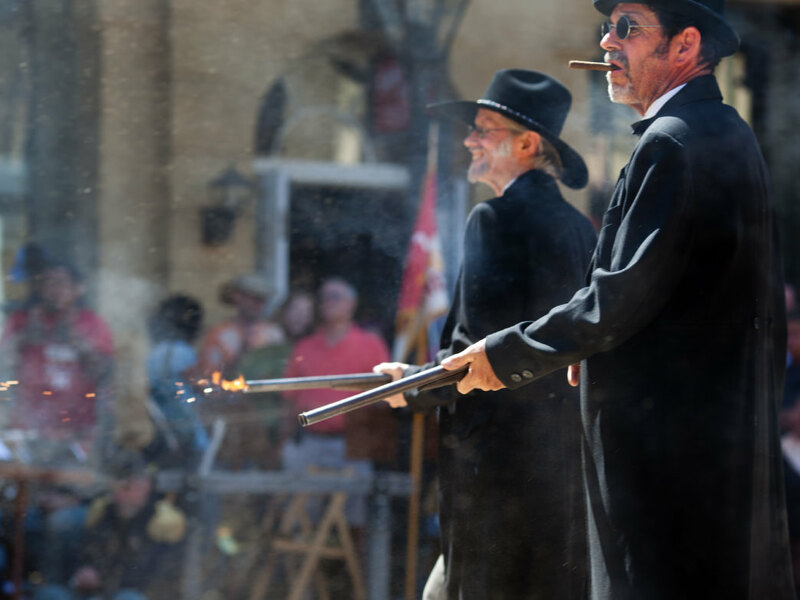 Don’t miss the historical reenactments during the annual Labor Day Weekend Gold Rush Days. Photo be Robert Couse-Baker. Situated at the confluence of the Sacramento and American rivers, Sacramento has been the capitol of California since 1854, but its history begins long before that. Nisenan and Plains Miwok Native Americans inhabited the area for perhaps thousands of years by the time Spanish explorers arrived on the scene in the early 19th century. Like many of its neighbors, Sacramento was established as a city during the Gold Rush era, then promptly devastated by floods in the early 1850s. Despite the disaster, many structures survived, and Sacramento would eventually be the western terminus of the Transcontinental Railroad. Today, Old Sacramento contains 53 historic buildings and is both a National and California Historic Landmark. Just a block from the Sacramento Station, historic Old Sacramento boasts seven museums, including the California State Railroad Museum, the Delta King Riverboat, and a replica of a one-room schoolhouse. The Historic Old Sacramento Foundation also offers an unguided walking tour of major landmarks, as well as a Gold Rush-themed guided tour between March and December and a Ghost Tour throughout the month of October. Each year, the Capitol Corridor train brings hundreds of students, mainly from the San Francisco Bay Area, to Sacramento for field trips to Old Sacramento, as well as the State Capitol building. 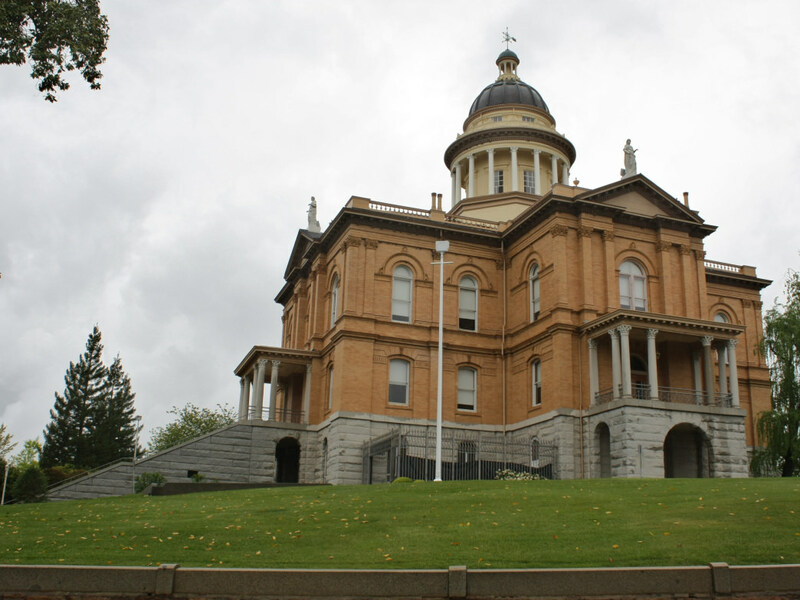 Stately Auburn Courthouse is one of many beautiful buildings in Old Town. Photo by Nick Ares. As the Gold Rush was getting underway, a group of French miners made camp in Auburn Ravine as they made their way west and discovered that the hills outside modern-day Auburn were rich with gold. Within two years, the population at their tiny mining camp had ballooned to 1,500 hopeful miners, and Auburn eventually became the seat of the aptly-named Placer County. The restored Old Town features restaurants and retail shops in mid-19th-century buildings, as well as the curiosities of the Gold Country Medical Museum, site of the first hospital in Placer County, and, of course, a Gold Rush Museum. Though Auburn is the official end of the line for the Capitol Corridor route, most trips terminate in Sacramento, and from there passengers can take a dedicated connecting bus to Truckee in North Lake Tahoe. Amtrak’s California Zephyr also stops in Truckee. It’s a beautiful ride through the Sierra along the old Transcontinental route, but there’s only one eastbound train a day because the train continues on to Chicago. Named for a Paiute chief and one-time guide of explorer John C. Fremont, Truckee’s best-known historical connection is to the Donner Party. In the winter of 1846, the group of 87 Illinois settlers seeking a shortcut to the Oregon Trail were snowed in at what’s known today as Donner Pass, just west of contemporary Truckee. 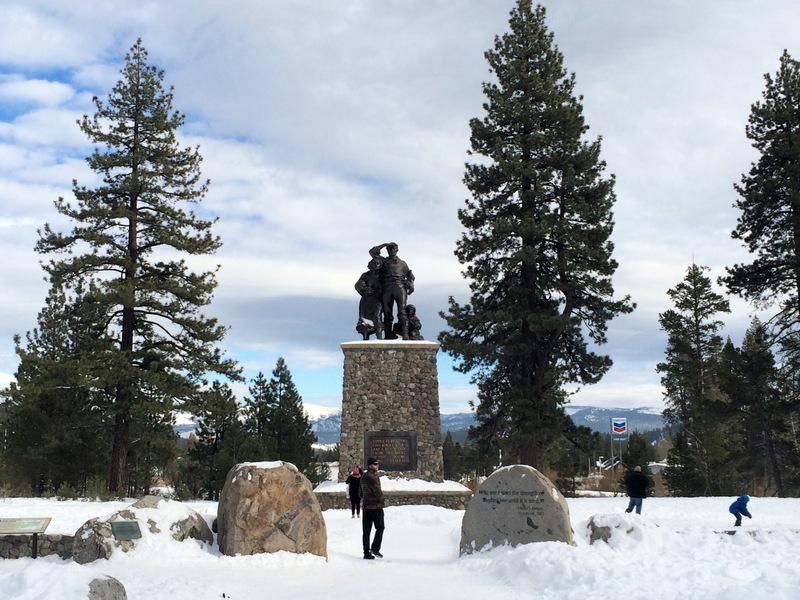 Forty-eight members of the party survived the winter, and though some less-than-savory details about the ordeal were later revealed, beautiful Donner Memorial State Park commemorates their epic adventure. In the late 19th and early 20th centuries, Truckee established itself as a winter sports destination, and in 1960, the Winter Olympic Games were held at Squaw Valley, just south of town. Today, the resort is home to 29 lifts and over 170 ski trails, plus an array of summer activities. Back in town, visitors can conduct a walking tour with the Historic Downtown Truckee Walking Map, which includes five distinct neighborhoods complete with historic buildings, lodging, and restaurants. Featured image provided by Photo by Nick Ares.